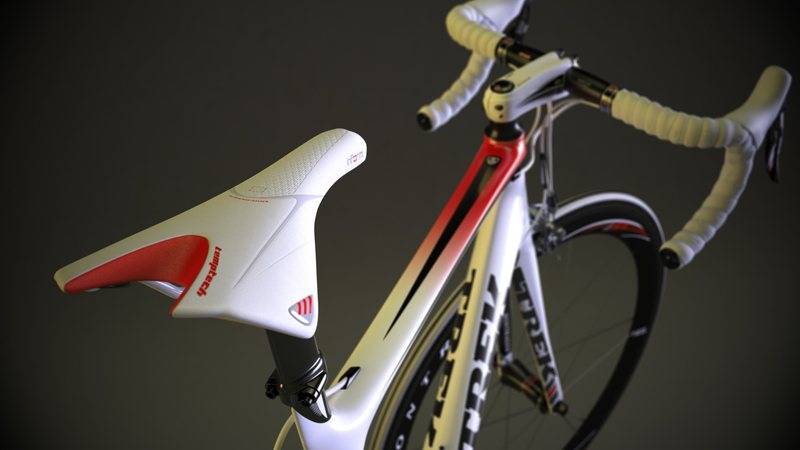 These are some of the images from the original project with it´s native Trek livery. 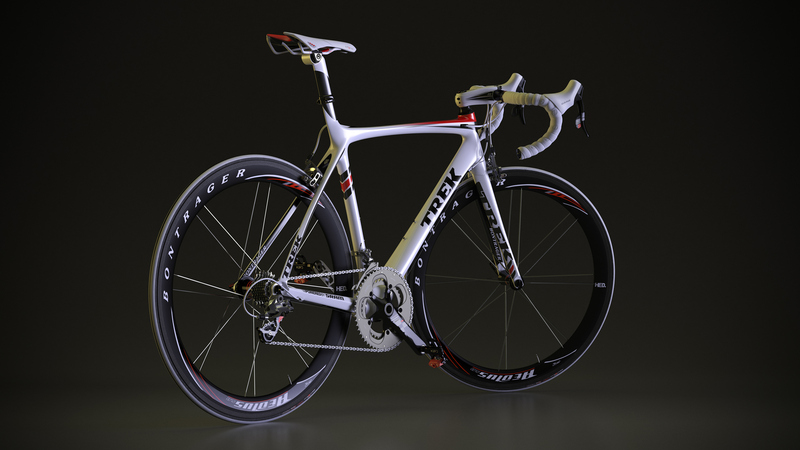 The production method was exactly the same and this was my first outing with HDR light Studio. 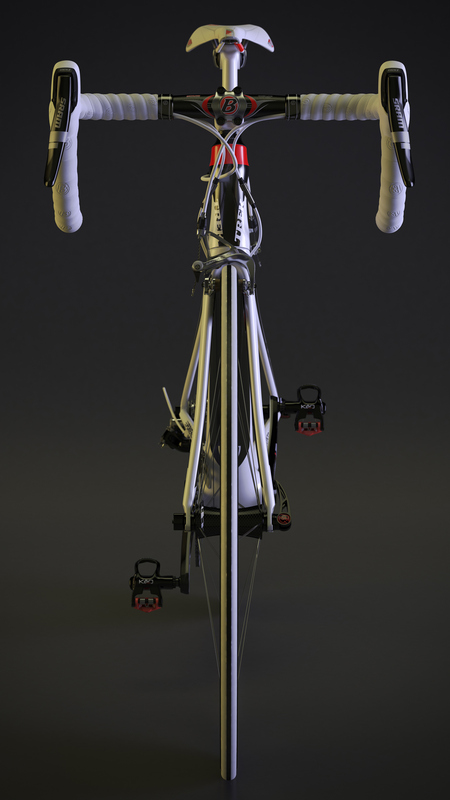 The model was also produced in 3DS Max and I tried to replicate all the small details while keeping the mesh as clean and light as possible. 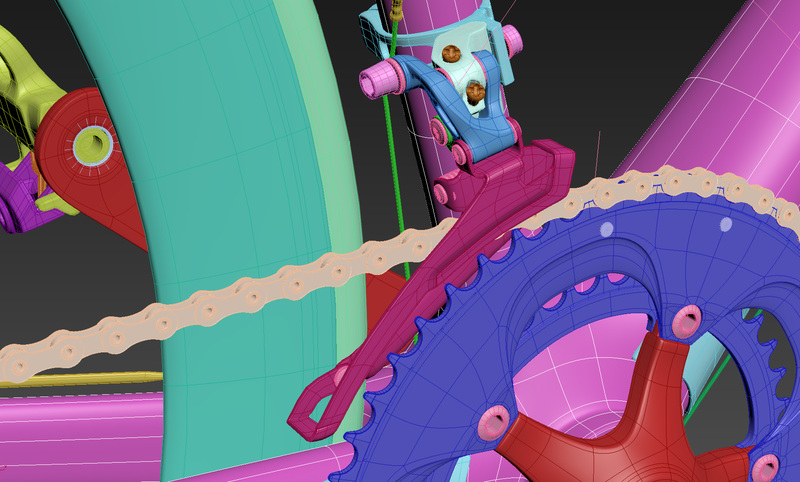 Most parts use NURMS subdivisions or turbosmooth set to 3 or 4. 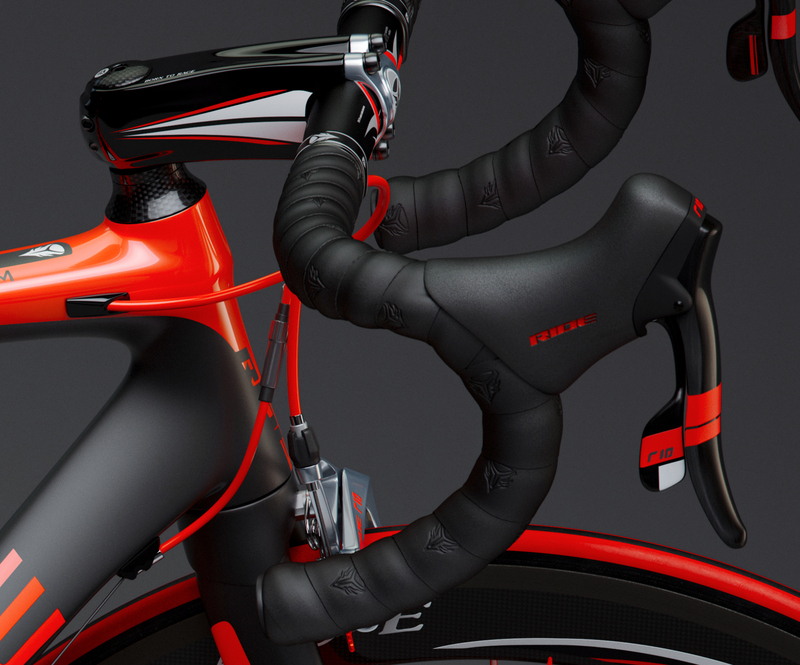 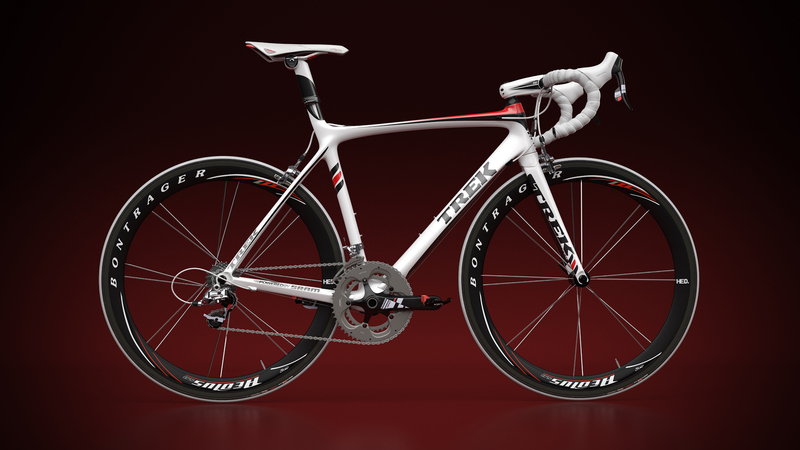 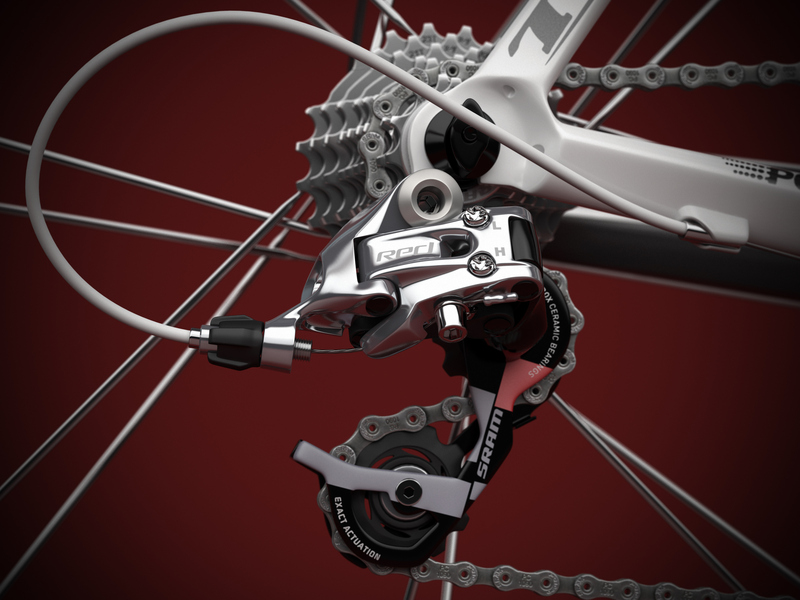 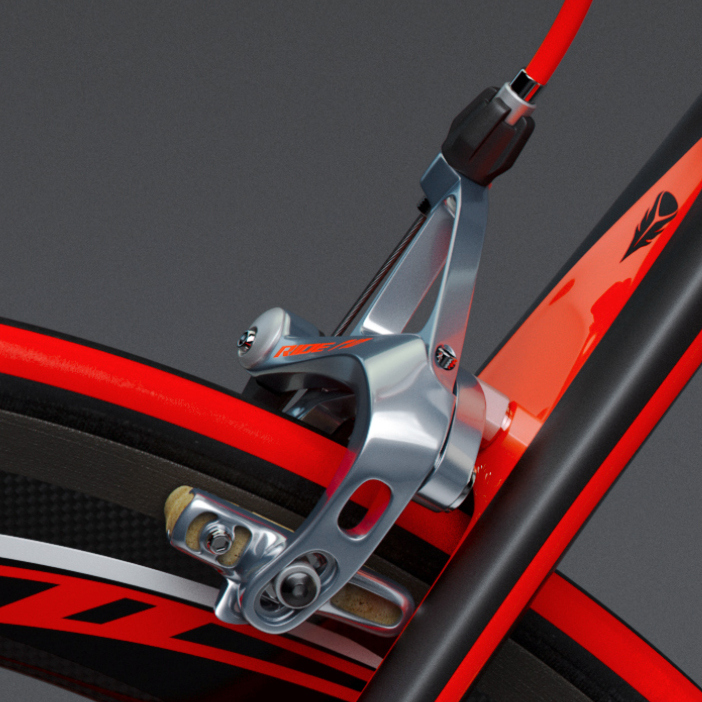 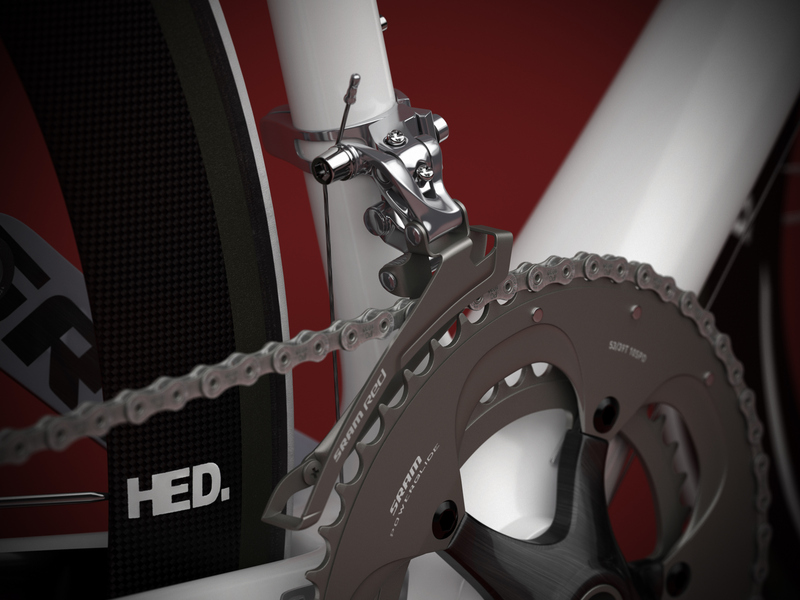 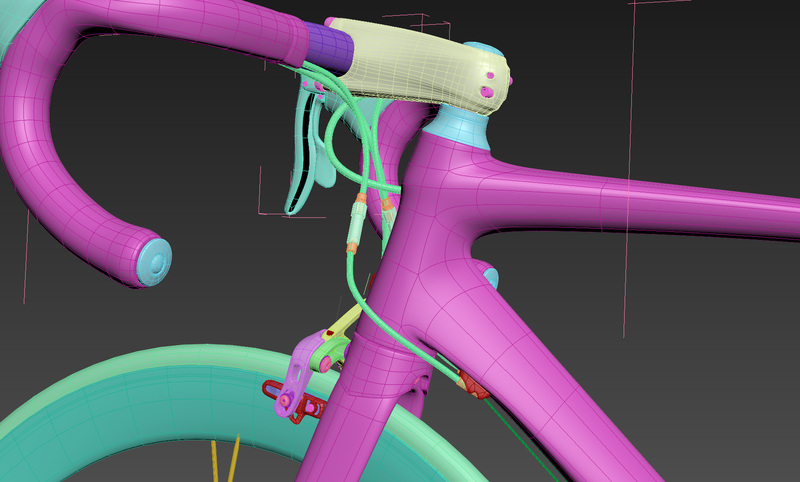 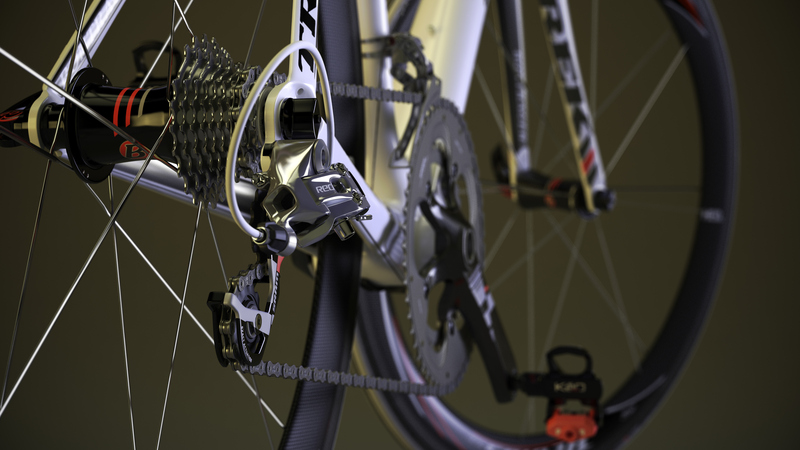 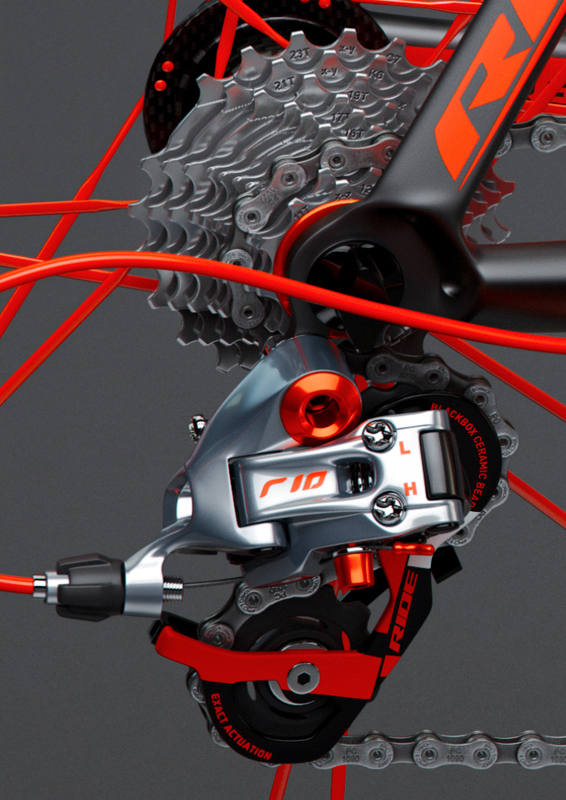 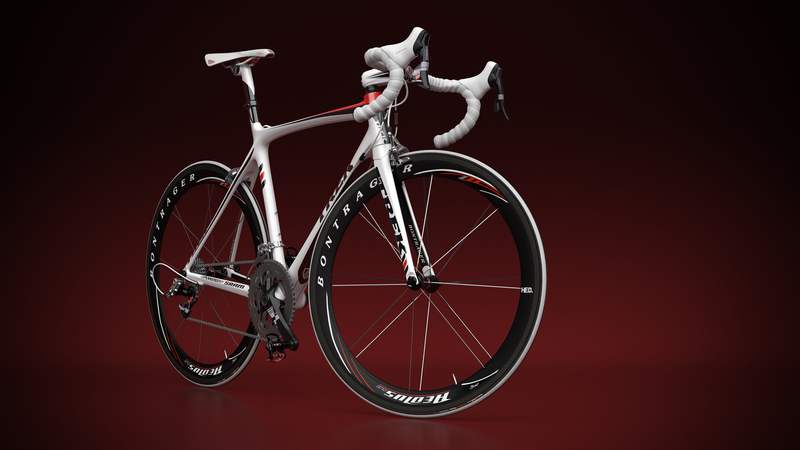 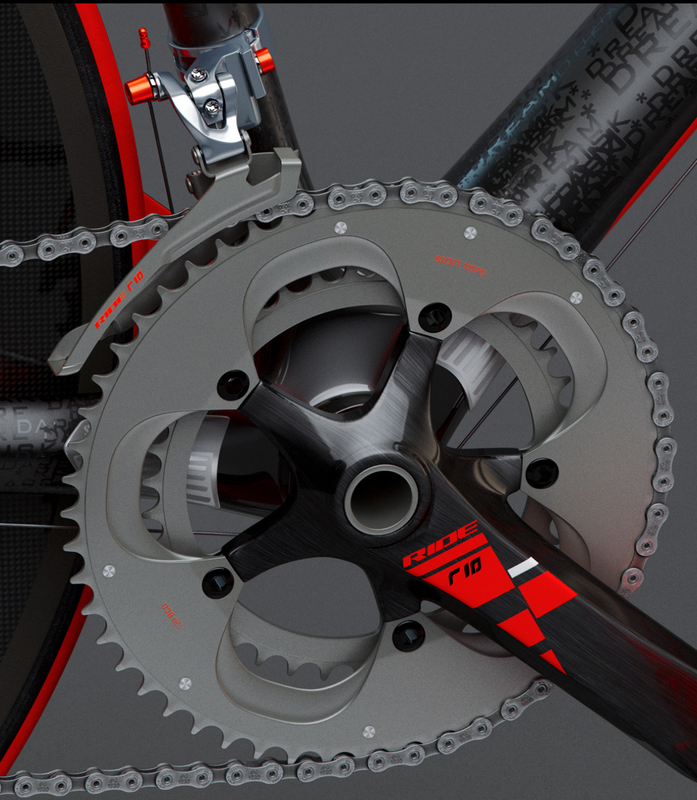 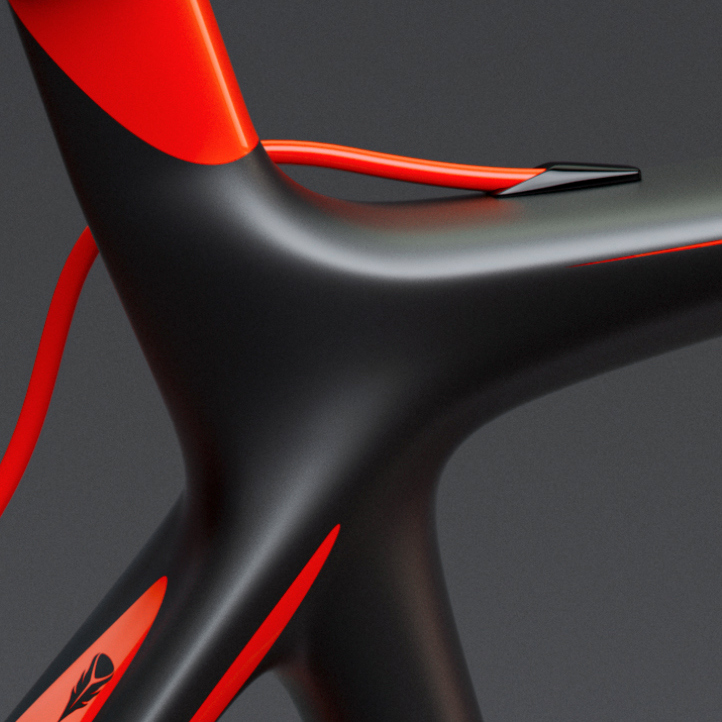 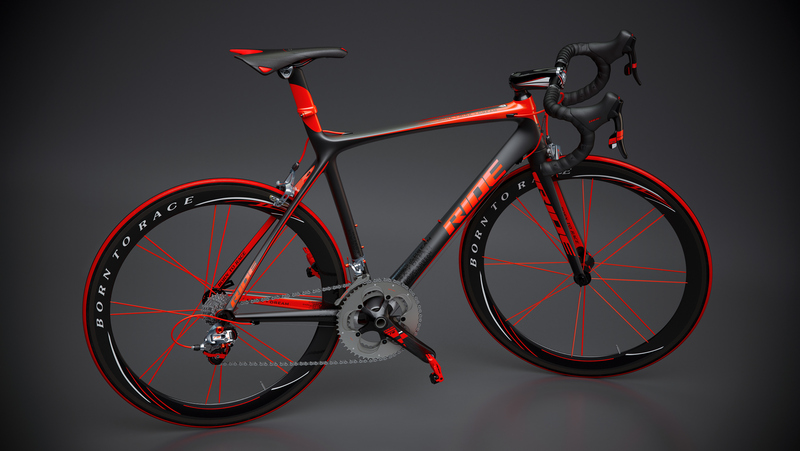 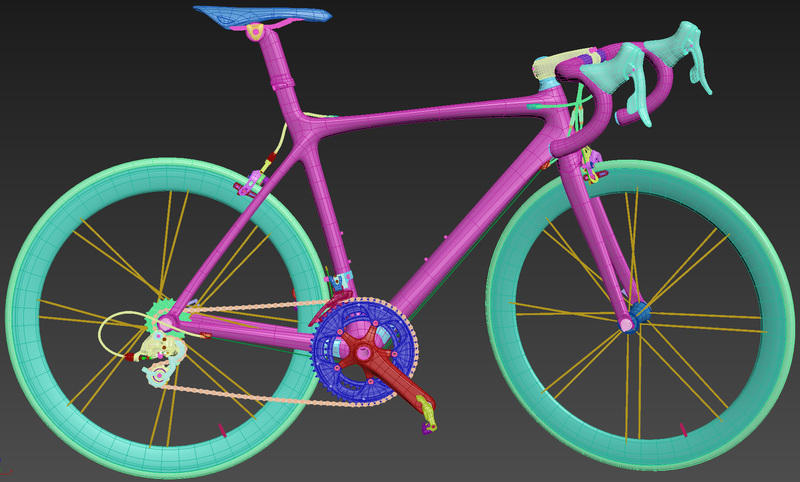 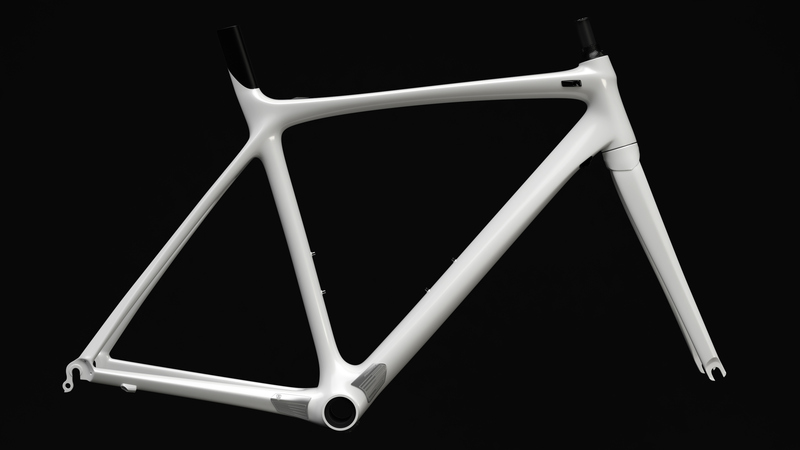 All the micro detail such as embossed logos and the bar tape and saddle was achieved with Vray displacement.